The entire library of Star Wars fiction titles under the Del Rey and Bantam Spectra imprints will be available in eBook format as of June 28, 2011. "Readers and fans have been asking for the Star Wars novels to be made available digitally, and we're excited that we can finally make this happen," said Howard Roffman, President of Lucas Licensing. "We're committed to providing fans with great Star Wars stories that can be enjoyed on any reading platform. We're thrilled to see the extensive backlist of Del Rey and Bantam titles made available electronically." 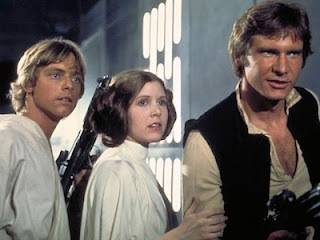 "Over 30 years ago, Del Rey Books published the novelization of the very first Star Wars film," said Gina Centrello, President of the Random House Publishing Group. "Since that time, the Star Wars Saga has grown to become a worldwide phenomenon. We're exceptionally proud to have been at the helm of such a rich and vast literary universe, and thrilled to be working with our partners at Lucasfilm as we move into the future with eBooks." The announcement was made on the official Star Wars website. Will you be downloading Star Wars eBooks to Kindle, iPad or similar reading device?